I wanted to share a few things I will be doing tomorrow to keep us on track with our learning but still have some St. Patrick's Day fun. First up in math we are moving on to line plot graphs. I was going to have my students collect data by making paper clip chains but I was grocery shopping and I saw the huge box of Lucky Charms so I bought them and we will be graphing marshmallows. Students will each get their own baggie of cereal and will sort out the cereal bits from the marshmallows then sort the marshmallows. They will record their data in a tally chart (self-made). Then I will choose one type of marshmallow (maybe predetermined by me to make sure this works out!) and collect our class data. We will use that data to create a line plot graph. Then we will review how to find range and mode and I will introduce median. Then I will give students a set of cards for them to find range, mode and median and write two solid gold statements (any ties, the number that is in second, how many number values altogether). You can check this activity out in my TPT store. I will also be using two graphic organizers from this awesome set, one in reading (make an inference) and one in writing (author's use of figurative language). Lastly, tomorrow is the day my students are bringing their idioms to school (idea stolen from Joanne at Head Over Heels for Teaching). I can't wait to see what they bring. 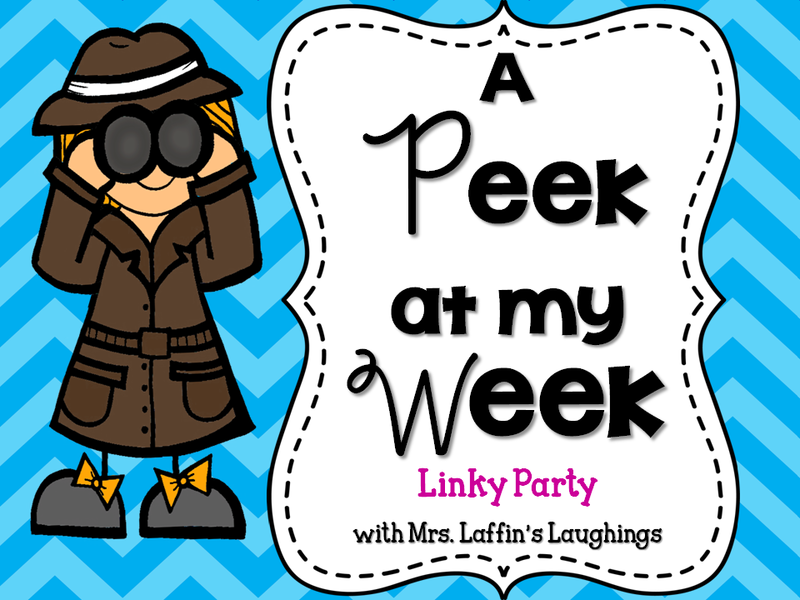 Since I told you about my St. Patrick's day plan I am linking up with my friend Jenny at Suntans and Lesson Plans and I told you a little about my week so I am linking up with Jennifer at Mrs. Laffin's Laughings for her Peek at My Week linky. Okay, off to marking I go!! Happy St. Patrick's Day everyone! 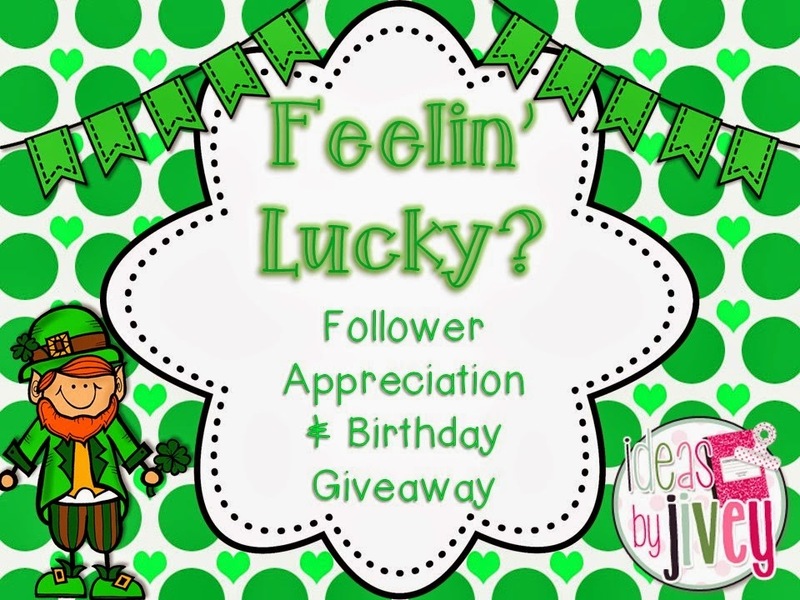 If you have not stopped by Jivey's blog to enter her giveaway you really should and wish a happy birthday too (it is tomorrow!). I like you line plot activity. Although I love teaching social studies and language arts, I really miss all of the hands on activities in math. Have a great week! What a great way to take the cereal activity to older kids! Love it! I can't wait to see your idioms! My class did Idiom Day (thanks, Head Over Heels), and LOVED IT! Have fun!